I am a Professor of Earth Sciences here at UNC Charlotte. 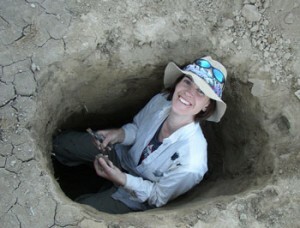 My research interests include mechanical weathering and fracture mechanics of natural rock and soil development and how they combine with Earth’s changing climate to influence landscape evolution. I am currently conducting research in Antarctica (see figure from my trip) , the Piedmont of South and North Carolina, the Blue Ridge of Virginia, granite domes of California and the Eastern United States and the alpine environments of the San Juan Mountains of Colorado (see below). I am always looking for good students for any of these graduate degree programs: MS in Earth Sciences; PhD in Geography; and PhD in INES – a joint program with Civil Engineering. I currently have an open, paid PhD position to model and study the fracture mechanics of mechanical weathering – starting in Fall 2019. Feel free to email any time if you are interested in this or other research with me. 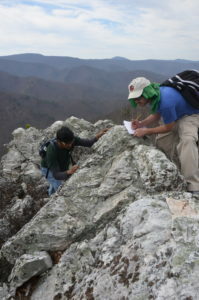 Photo right: Students collecting weathering data for outcrops in Shenandoah National Park, VA. Cosmogenic Radionuclide analyses by Dr. Gregory S. Hancock at William and Mary College provide erosion rates for different rock types in the field area. 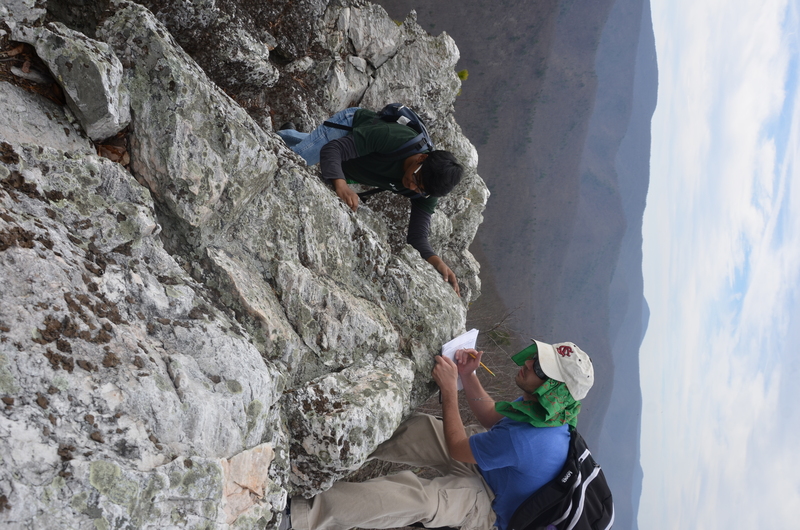 Our work seeks to understand how the fracture mechanics properties of these rocks influence their erosion, and thus the long-term landscape evolution of the classic Valley and Ridge landscape of central Virginia. In press in Geology. Charlotte, NC is home the rest of the time . I spend my free time these days with my kids enjoying my garden.